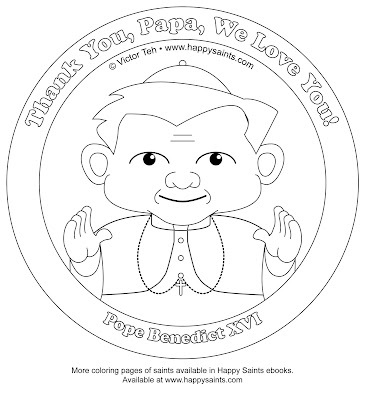 Here's a free coloring page of His Holiness, Pope Benedict XVI! Viva El Papa! This is wonderful! Thank you for offering it free to your readers. I will be using it with my first graders tomorrow. God bless! 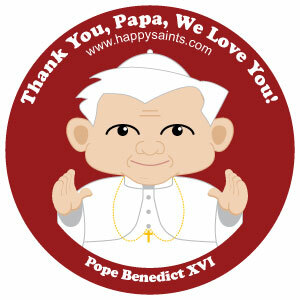 Pope Benedict T-shirts, Buttons, Badges, Mugs! Way of the Cross Picture Book (Paperback)!